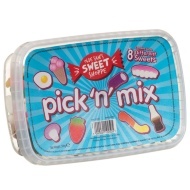 Pick 'n' Mix Medium Cup. 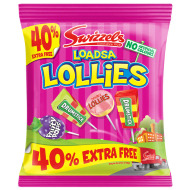 Rediscover your sweet tooth and indulge in these chewy, fizzy and sour retro sweets! 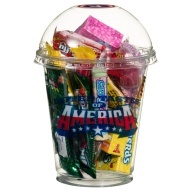 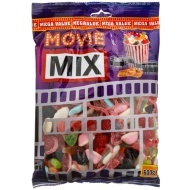 Choose from all your favourites such as cola bottles, cherries, foam teeth and fried eggs!